Dual-class stocks to buy are in the news again. Lyft, the ride-hailing app, is looking to go public. On March 18, the company filed an amended preliminary prospectus with the SEC that suggests it will offer almost 31 million of its Class A shares between $62 and $68 a share, valuing it at $23 billion or more. It’s very popular with investors, already oversubscribed with a week left until it officially starts trading. People can’t get enough of Lyft stock. However, many institutional investors aren’t happy about the company’s dual-class share structure, sending a letter to Lyft asking that it include a sunset clause in its IPO regulatory filings. Under a sunset clause, the company would designate a future date at which time the dual-class share structure would convert into a one share, one vote scenario. These institutional investors don’t like the fact that the company’s two founders will control 60% of the votes with just a 7% economic interest. They’re especially frustrated because Lyft currently operates a one share, one vote structure as a private company. Love them or hate them, dual-class share structures will always be attractive to entrepreneurs who worry that the short-termism that’s so prevalent in Wall Street companies is harmful to a company’s long-term success. I happen to believe that dual-class share structures, in the hands of good corporate stewards, can deliver above-average rewards, then companies without them. To demonstrate what I mean, here are seven dual-class stocks to buy now. 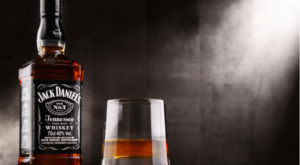 George Garvin Brown IV is the chairman of Brown-Forman (NYSE:BF.A, NYSE:BF.B), the Louisville distiller behind Jack Daniel’s and other whisky brands. The Brown family control more than 50% of the company’s Class A shares. The Class B shares do not come with votes providing the family with a built-in succession plan. It’s the ultimate family business. When George Garvin Brown became chairman in 2007, he went to work with former CEO Paul Varga — Varga retired December 31, 2018, after 15 years in the top job — to create a “family engagement” committee to keep all the Brown family members, most of whom didn’t work at the company, engaged and informed, so that a dual-class share structure wasn’t the only thing keeping it in the familial hands. Since Brown IV has been chairman, Brown-Forman stock has appreciated by 493%, or 16.7% annualized. Not bad considering he took over at a time when the economy was ready to collapse, and nobody was drinking whisky. Lost in the excitement of Constellation Brands’ (NYSE:STZ, NYSE:STZ.B) multi-billion-dollar cannabis investment is the fact that the company has a dual-class share structure, with Class A shares getting one vote per share while Class B shares get 10 votes each. Brothers Rob and Richard Sands control the company by owning almost all of its Class B shares. Overall, they have 59% of the all the votes, which translates into a 16% economic interest in Constellation Brands. Recently, Rob Sands stepped down as CEO, to become executive chairman, with the COO, Bill Newlands, stepping into the top role. Rob Sands was the driving force behind Constellation Brands making a $4 billion investment in Canopy Growth (NYSE:CGC). As executive chairman, he’ll oversee the company’s investment including its push into cannabis-infused drinks. 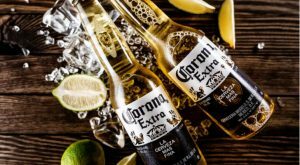 Whether you’re talking about its bold move to buy the Modelo beer business in the U.S. a few years ago or its efforts to add a platform for growth beyond beer, spirits, and wine, there’s a good chance none of this happens if the Sands’ brothers didn’t have the ability to look well into the future. Institutions might hate the idea that someone with 16% ownership, controls the business, but when you consider how much effort the family has put into the company — father Marvin founded it in 1945 — I wouldn’t want anyone else other than the Sands calling the shots. They dream big, and shareholders will be rewarded over the long haul for allowing them to do so. If you’re not familiar with the alternative asset manager that recently acquired 62% of Los Angeles-based Oaktree Capital (NYSE:OAK) for more than $4 billion, Brookfield Asset Management (NYSE:BAM) is now about the same size as Blackstone (NYSE:BX) in terms of assets under management. Brookfield CEO Bruce Flatt got a new platform for growth in credit and distressed debt while adding to the company’s bench — Oaktree co-founder Howard Marks will remain at Oaktree for the foreseeable future — and more importantly, making Brookfield a full-service asset manager. Again, I’ll make my point. The dual-class share structure is only a problem in the absence of talent and vision. Bruce Flatt has plenty of both. 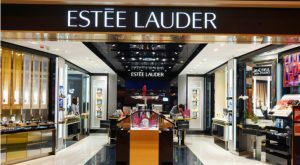 2018 wasn’t a great year for long-time Estee Lauder (NYSE:EL) shareholders; its stock delivered an annual total return of 3.5%. That’s okay. As bad as that might seem, it was still 787 basis points higher than the S&P 500. And besides, it’s up 24.5% year to date, and if it can hold those gains this is the fifth year in the past decade with an annual total return more than 20%. If you invested $10,000 in Estee Lauder stock a decade ago, today you’d have more than $145,000. Led by CEO Fabrizio Freda, who has been in the top job since 2009, the executive chairman’s role is held by William Lauder, who was CEO for a short time before Freda joined the company. The Lauders, who control the company with 87% of the votes, have four board seats out of a total of 16, ensuring that the business goes where they want it to go. I first recommended Estee Lauder stock in April 2013. Since then, I’ve suggested it on several occasions into 2019. As consumer stocks go, I like it as long as the Lauder family has a control position in the company. They know how to exert influence without getting in the way. Whenever you read about Nike (NYSE:NKE), it’s rare that you see anything that talks about Phil Knight’s baby having a dual-class share structure, but it surely does, although not in an obvious way. It has Class A and Class B shares, but there’s no 10:1 ratio in terms of votes, or 20:1 in the case of Lyft. No, it uses a more subtle form of control. If you dig into the proxy, you’ll see that Class A shareholders elect 75% of the board members and Class B shareholders to elect the rest. Currently, there are 12 directors with nine voted on by the Class A shareholders and three voted on by the Class B shareholders. Care to guess who one of the Class A shareholders is? None other than Travis Knight, Phil Knight’s son. 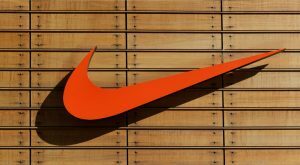 Another thing you’ll notice is that Swoosh LLC holds 78% of the Class A shares ensuring that Nike’s board is stacked with people the founder can trust. It’s a slightly different take on the dual-class share structure, but it ultimately is intended to ensure that the company maintains the vision of its founder. As successful as Nike has been, what’s not to like? Jack Dorsey is CEO of both Square (NYSE:SQ) and Twitter (NYSE:TWTR). Square went public in November 2015; Twitter IPO’d two years earlier in November 2013. Interestingly, Twitter chose to issue only one class of shares, but Square decided to issue two classes. Well, a Wall Street Journal article in August 2015, before the company went public, used an interesting analogy with Alphabet (NASDAQ:GOOGL, NASDAQ:GOOG), then known as Google, that might provide a clue. 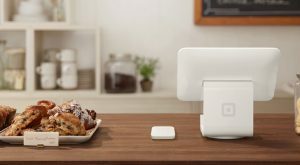 So, it’s possible that Dorsey and company felt that Square needed greater oversight and control, protecting it from the short-term nature of most investors. We’ll probably never know for sure. However, what we do know is that Dorsey has 45% of Square’s voting power, but only 16% of its equity, whose shares are worth $4.9 billion. Over at Twitter, he has 2.4% of the equity, worth $586 million. Considering Square’s market cap is 32% greater than Twitter’s, it seems Dorsey made the right call. 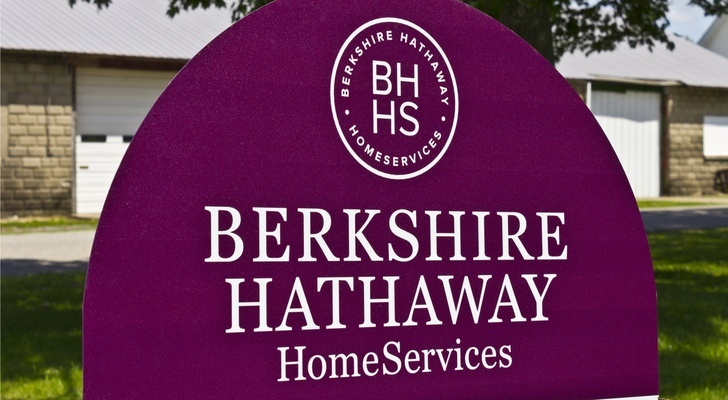 If it weren’t for unit investment trusts, you might not be able to buy Class B shares of Berkshire Hathaway (NYSE:BRK.A, NYSE:BRK.B) today. Warren Buffett introduced a second class of shares in May 1996 in response to regular investors seeking a backdoor by buying units of these trusts to get a piece of the Class A shares, which were trading around $22,000 at the time. Baby B’s would be worth 1/30th the value of the Class A shares and 1/10,000th the voting rights. “As I have told you before, we made this sale in response to the threatened creation of unit trusts that would have marketed themselves as Berkshire look-alikes. In the process, they would have used our past, and definitely nonrepeatable, record to entice naive small investors and would have charged these innocents high fees and commissions,” Buffett wrote in the company’s 1996 shareholder’s letter. How about that, even back then, the Oracle of Omaha was railing against high fees in the mutual fund business. Almost 15 years after issuing the B shares, Berkshire Hathaway split them 50-to-1 so that Burlington Northern shareholders could share in the company’s future success. Today, the B shares are worth 1/1,500th of a Class A share while the voting rights have stayed the same. If not for Warren Buffett’s stand on fees a long time ago, a lot fewer people would likely own the company’s stock. That would be a bad thing. 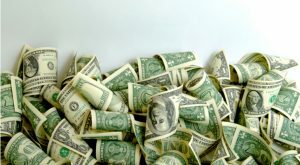 Article printed from InvestorPlace Media, https://investorplace.com/2019/03/7-dual-class-stocks-that-will-outperform/.